Sen. Kirsten Gillibrand (D-N.Y.), a potential 2020 White House contender, is joining Sen. Cory Booker (D-N.J.), another possible presidential candidate, in the fight to legalize marijuana under federal law. The New York Democrat announced Wednesday that she’s co-sponsoring the Marijuana Justice Act, which Booker introduced in August. The bill would eliminate marijuana’s status as a Schedule 1 drug under the Controlled Substance Act and require federal courts to expunge the records of Americans who have prior marijuana convictions related to use or possession. 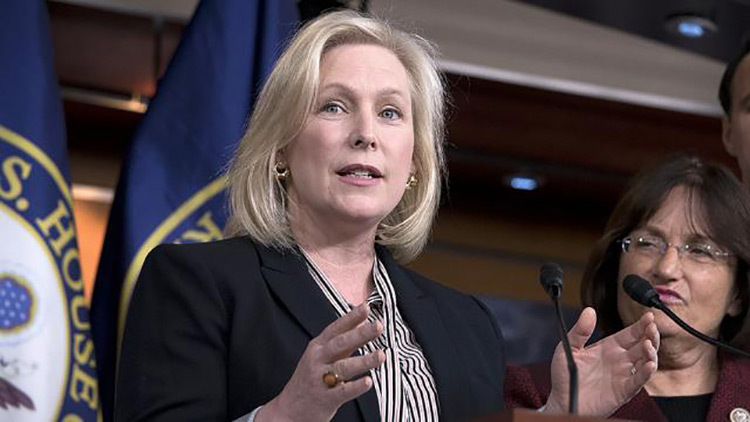 “Millions of Americans’ lives have been devastated because of our broken marijuana policies, especially in communities of color and low-income communities,” Gillibrand, 51, said in a statement. Gillibrand called it shameful that her own 14-year-old son would likely be treated very differently from one of his black or Latino peers if he were caught with marijuana. “Legalizing marijuana is a social justice issue and a moral issue that Congress needs to address, and I’m proud to work with Senator Booker on this legislation to help fix decades of injustice caused by our nation’s failed drug policies,” she said.